Colorado caucuses took place last night. In a nonbinding straw poll, Democrats gave Cary Kennedy a decisive victory in caucuses for Colorado governor. She took 50 percent of the vote. Congressman Jared Polis came in second with 33 percent and former state senator Mike Johnston finished a distant third with 8 percent. One high-profile Democrat, Lt. Gov. Donna Lynne, is not going through the caucus process. "Tuesday's turnout -- which was stronger than turnout in both 2014 and 2010 -- shows that Democrats are fired up and motivated to elect Democrats up-and -down the ballot in 2018," said Colorado Democratic Party Chair Morgan Carroll. There is a large field of gubernatorial candidates ahead of elections in November as John Hickenlooper, a Democrat, must leave office because he is term-limited. Republicans didn't conduct a straw poll during caucuses Tuesday evening (March 6, 2018), but State Treasurer Walker Stapleton is seen as the front runner among GOP candidates. 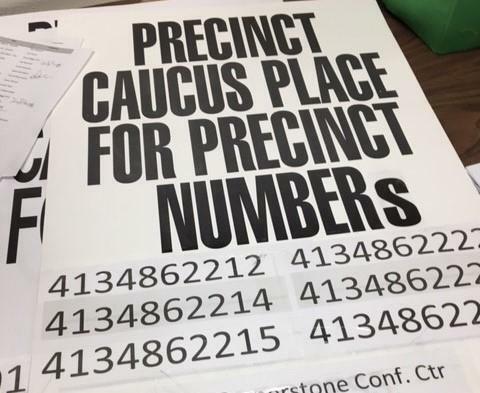 To qualify for the June primary, candidates must get 30 percent of the delegates at their party's state assembly or petition onto the ballot. Both the Republican and Democratic state assemblies are in April.